There are no two ways in having a nice hot shower or tub bath, but doing this can be more harmful than being god, especially if we talk of hair, Hot water will exsiccate Strands. Which will lead to your hair becoming dry, fragile, hair, which will be all the more used to falling off, while you give it a wash along with depriving it of all the natural oils that are present in it? Hair soaked in water are more susceptible to hair fall than dry hair, brushing or combing hair in the shower and then going for towel drying can make them prone to breakage more than ever. Use Of Hairstyle Products! Avoid! Using too many hair styling products can lead to more hair fall and in turn damage your pretty locks, so as much as possible, avoid using these products. 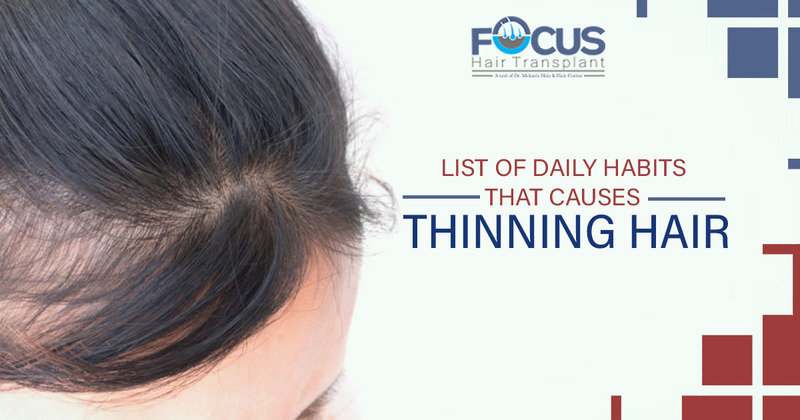 The high temperature from these products damages the protein present in hair, which in turn lead to thinning of hair. While you dry your hair, bring your head forward and start drying from upside down to uplift blood flow and also the neural impulse to the scalp. This also works wonders for giving the much-needed shine and volume to thin hair. After brushing your hair, massage your scalp for a few minutes while your head dropped to one side, while you are seated with elbows rested on to a table and hands on either side of the head. Nicely massage your scalp without much rubbing and also without using nails. This helps in clearing out the scalp by flaking off dead skin cells and also helps in getting a good night’s sleep. Hair follicles get stressed and damaged when tight plaits or buns are made out of them. In the most extreme cases, it can weaken the follicles completely which will further result in no hair growth. Hair products used for keeping the hair perfect for longest time can create more harm than one can think of. They have a high amount of alcohol in them, which makes hair become dry than ever and also fragile. In case you start following these things; you will not have to get a hair transplant done.